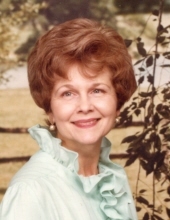 Mary Rigby, age 87, passed away on January 22, 2019. She was a lifelong resident of the Kansas City area. Mary was an avid reader, enjoying a wide variety of subjects. She loved to garden and loved her cats. In 1985, she started her own business called Merrily Pet Care in Shawnee Ks. taking care of pets in their own home while people traveled. She continued in that business until they moved to Cass Co, Mo in 1987. She leaves behind two daughters, Linda Arzola and husband Greg of Hartville, MO and Laura Lee and husband Robert of Drexel, MO, nine grandchildren , eight great-grandchildren, and one cat, Nosey. She was preceded in death by her son, Mark Rigby and her husband of nearly 66 years, Edward. Rosary will be held at 6 p.m. followed by visitation from 6:30 p.m. until 7:30 p.m. on Thursday, January 31, 2019 at the Dickey Funeral Home in Harrisonville, MO. Funeral Mass will be at 10 am on Friday, February 1 at Our Lady of Lourdes Catholic Church in Harrisonville, MO followed by burial in Orient Cemetery. To plant a tree in memory of Mary E. Rigby, please visit our Tribute Store. "Email Address" would like to share the life celebration of Mary E. Rigby. Click on the "link" to go to share a favorite memory or leave a condolence message for the family.